By Mark T Jones -A new President invariably has many calls upon their time, this is certainly true of the President-Elect of Somaliland. Whilst the country can take pride in the election that has recently taken place, it is now time to get on with the business of governing and serving the people. There is a general agreement that job creation needs to be the top priority, especially in view of a burgeoning population, many of whom are jobless or under-employed. Matters are further complicated by the perception that in the past nepotism has been the route to employment and preferment. The twin issue of unemployment and under-employment taxes the brightest of minds, and yet it is one concern that has to be addressed by any government. Naturally, much of the focus tends to be on urban unemployment, hence the hope provided by the development of the Port of Berbera. In reality, the highest levels of unemployment, especially youth unemployment, are in the regions and remoter areas of the country, away from the political nexus that is Hargeisa. There is a perception, rightly or wrongly, that the Government in Hargeisa neglects the regions, and so must make a more concerted effort to reach out as never before. Thriving economies are those that cherish all districts, and thus it is essential that a new administration make a conscious effort to stimulate economic growth in all areas, not just in its own political heartland. Effective government requires effective ministers and officials. Successive administrations have been tarnished by charges of cronyism, and thus it is imperative that every effort is made to ensure appointment and promotion on merit. Productivity remains an issue, especially when some senior officials feel that they can breeze in and out whenever they like. A country that seeks to earn international respect, must prove worthy through its industriousness and its desire for self-improvement. This brings us to the thorny issue of corruption. Whether we like it or not corruption is a fact of life, yet it need not be tolerated. All countries have forms of corruption, yet some appear more accepting of the fact. It is essential that Somaliland seeks to learn from others how best to tackle the scourge of corruption, and furthermore, needs to wage a sustained campaign against those who think nothing of using power, money and influence to get their way. The authorities need to have the courage for the fight, for it will be a long and arduous one, but it is a fight that has to be won. Somaliland requires a free and fearless press, one that is given appropriate safeguards. Journalists need to be responsible, and constantly strive to adhere to the very highest ethical standards. For a healthy independent media helps makes for a healthy democracy, a point that has yet to be grasped by the majority of governments across the Horn of Africa. If Somaliland is to truly prosper it must harness the considerable talent of its womenfolk. Whilst there will be some who baulk a such a notion, in reality there are already plenty of splendid examples of women who have more than proved their worth. All citizens deserve to live in safety and to feel valued. The country will only thrive when it provides opportunities for all regardless of gender or clan affinity. During the recent Presidential Election Campaign it was heartening that all the Presidential candidates publicly committed to tackle FGM, a human wrong that costs many lives unnecessarily every year and invariably causes lifelong trauma. Somaliland should have no place for misogynists, or for those who engage in or seek to perpetuate gender based violence. For the country to take its rightful place in the world, it must espouse values that engender tolerance and mutual respect. Inclusion requires a sea change in attitudes and practices, and whilst change will take time, it is imperative that clear leadership is given, and laws framed and modified accordingly. Those in leadership roles must be mindful of their roles as servants. Service is the highest calling, and requires us all to look to execute our tasks and labours to the very best of our ability. People across Somaliland look to their President for leadership, but equally must assist their President when it comes to demonstrating a unity of purpose. Managing water shortages, tackling pollution and environmental degradation cannot be done by one man. Each citizen must take ownership of these problems. Progress can and will be made. Thankfully there are examples elsewhere in Africa in countries such as Botswana and Rwanda that can provide useful examples of how pressing problems can be addressed successfully. The country must redouble its efforts to cherish the natural world, whilst ensuring that it protects all citizens, especially the most vulnerable in its midst. Some of the most pressing problems, especially drought, will require a spirit of co-operation with regional neighbours. It is important that meaningful links are forged at every level. Organisations such as IGAD have a constructive role to play in helping address regional needs. Somaliland must prove itself to be a caring and responsible neighbour, and what is more, a faithful friend. Family and cultural connections help encourage greater understanding, and are already helping to change misconceptions. Somaliland must be willing to reach out as never before and thus through extending the hand of friendship will learn more about itself in the process. Naturally, many will give thought to Somaliland's standing in the world. 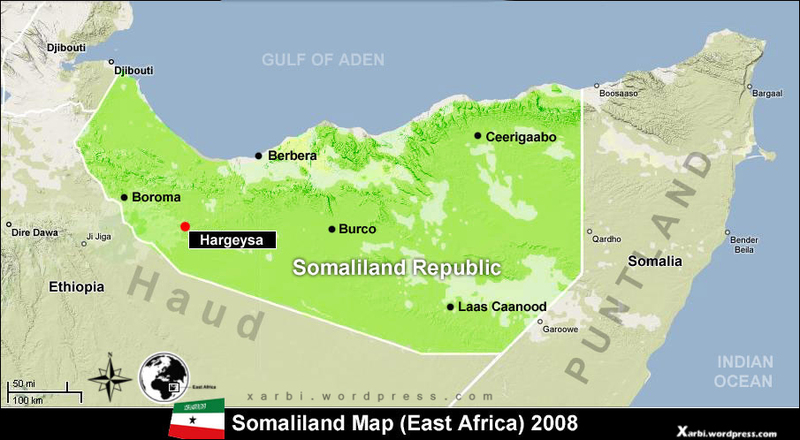 The situation is clear, Somaliland's right to self-determination is not a question of secession, but of restoration. The past, present and future mean that its people have chosen its own trajectory. International Law such as it is may well stack the odds against recognition, but it is increasingly becoming clear that it is not a matter of if, but when? For Somalilanders this is a matter of choice, they earnestly desire the right to choose their own destiny. Such choice is not made out of animosity, but out of love, love for those lost in the recent past, and the love of Somalilanders not yet born. President-Elect Musa Bihi Abdi and those who seek to lead Somaliland would do well to appreciate the enormity of the task that they have undertaken, but equally should commit to memory the Latin phrase - Amor Vincit Omnia - Love Conquers All.